The Comcast NBCUniversal LIFT Labs Accelerator, powered by Techstars, is now accepting applications for its second class that begins this July in the new Comcast Technology Center in Philadelphia! Connectivity, Media and Entertainment startups from around the world are encouraged to APPLY NOW through April 7, 2019! Smart Places: Empowering people and businesses to seamlessly connect anywhere faster, efficiently, and reliably. Immersive + Interactive Experiences: Engaging users through interactive platforms, connected gaming and other rich entertainment experiences. Digital-First Customer Engagement: Creating and/or enabling personalized customer success solutions and experiences. Next-Gen Marketing: Predicting, shifting, and analyzing customer behaviors to stand out in a crowded digital world. 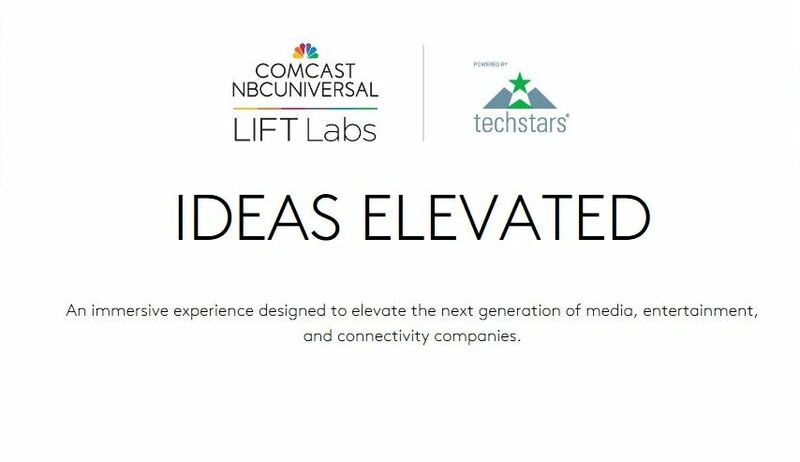 Comcast NBCUniversal LIFT Labs is looking for startups utilizing innovative technologies including, but not limited to, advanced connectivity, Internet of Things, artificial intelligence, machine learning, blockchain, voice control, virtual, augmented and mixed reality, and accessibility tech. Please share this news with your entrepreneurial network, and help discover the next class of connectivity, media, and entertainment startups to partner with Comcast NBCUniversal and Techstars!